a cura di Isabella Martelli e gli attori del Laboratorio teatrale Sempreingioco, durante la quale verranno animati brani tratti dal Diario e da Le lettere di Etty Hillesum. L’iniziativa, svolta nell’ambito degli incontri organizzati in memoria dello sterminio e delle persecuzioni del popolo ebraico e dei deportati militari e politici nei campi nazisti, trae spunto dal racconto della vita di Etty, una giovane donna originaria di Amsterdam, che, attraverso il suo diario, intenso e passionale, dà testimonianza della persecuzione ebraica. Tra le sue righe, leggiamo: La nostra distruzione si avvicina furtivamente da ogni parte, presto il cerchio sarà chiuso intorno a noi e nessuna persona buona che vorrà darci aiuto lo potrà oltrepassare. Ma, quanto più il cerchio si stringe, tanto più Etty sembra acquistare una straordinaria forza dell’anima. Non pensa per un solo momento a salvarsi. Pensa a come potrà essere d’aiuto ai tanti che stanno per condividere con lei il destino di massa della morte amministrata dalle autorità tedesche. Confinata a Westerbork, campo di transito da cui sarà trasferita ad Auschwitz, Etty non si abbatte; anzi, l’orrore nazista sembra provocare in lei l’effetto contrario. Sul diario aveva annotato: “Temprato”: distinguerlo da “indurito”. E proprio la sua vita, sta a mostrare quella differenza. 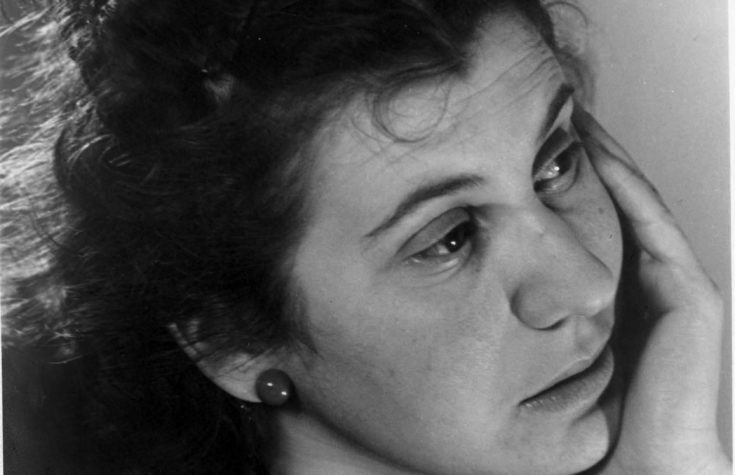 Lesson / show: Etty Hillesum. Un altro mondo è possibile. Excerpts from the “Diary” and the “Letters” of Etty Hillesum by Isabella Martelli and the actors of Sempreingioco Theatre Workshop. The show was held as part of events organized to commemorate the extermination and persecution of the Jewish people and of the military and political deportees in the Nazi camps. This is the story of the life of a young and passionate woman from Amsterdam, Etty. She reads Rilke, Dostoevsky and Jung.She is Jewish but she does not precise the religion. She is attracted by religious themes, and sometimes she discuss about them.Then, gradually, the persecution begins to be part of her life and it is recorded in her diary. Etty writes about friends who have disappeared, killed or imprisoned in concentration camps. One day, in front of a small group of trees, she sees the sign: “Forbidden to Jews.” Another day, Jews are not allowed to enter some stores. Another day, Jews can no longer use the bicycle. However, the narrower the circle become, the more Etty’s soul become strong. She does not think to save herself even if she sometimes could escape. She thinks about how she could help all those people that, just like her, are doomed to be killed by the German authorities. Confined to the camp of Westerbork before being sent to Auschwitz, Etty exalts her ability to be a “thinking heart” event in that “little piece of moorland enclosed by barbed wire”. If the Nazi technique aimed to annihilate both physically and psychologically the victims, it produces the opposite effect on Etty. The closest the end approaches, the more her voice become clear and sure, with no cracks. Despite the horrors she lives every day, she repels any atom of hate, because it would make the world even more “unfriendly.” Etty’s love is invincible. In her diary, she wrote, “strengthen “to distinguish it from” hardened”. And her life shows this difference.